The 20th century psychologist Abraham Maslow outlines in his famous, 'A Theory of Human Motivation', a defined hierarchy of survival needs that every single human being must have in order to grow and develop throughout life. This Hierarchy of Needs, as it is called, ranges from basic physiological needs such as 'food, water, shelter and warmth' and progresses into higher self-actualization needs like 'pursuit of inner creativity and fulfillment'. Overall, Maslow's Hierarchy of Needs supplies us with a generalized list of necessities that are both motivational and meta-motivational to our survival,whether we are talking about just physical or spiritual by design. My point in mentioning this is to provide a psychological directive that I personally feel must be established and provided to the people that we come in contact with, regardless if they are considered clients, volunteers, friends or family. It is a proper understanding of the emotional and psychological needs of other people that make our individual and combined efforts for helping others, effective and satisfactory. For instance, it is easy for us to supply the first of anyone's basic needs, namely through feeding people, providing tents and blankets and functional clothing. However, we should look past the idea of 'food, water, shelter, and warmth' and look into a metaphorical and perhaps metaphysical approach to these simple concepts. For instance, while we may prepare and serve nutritious meals that provide the necessary compliments of vitamins, carbohydrates and minerals; we should also look into the need to 'feed' people with education and information. Another example is the idea that we provide 'warmth' with blankets and clothing, but then again we should be aware that the greatest form of 'warmth' that a person can give is in Love. The simplicity of harmonious and caring interaction between people is a deep psychological need that is also part of survival. Many of societies 'demons' such as alcoholism and drug abuse are only persistent in our world because of a lack of proper application of compassion and love. I know that many of the individual people whom we work with day-to-day, are people who suffer from the burden of depression and addiction. Yet, through some of our individual efforts I have seen depression become replaced with hope and addiction has been killed with a desire to achieve fulfillment. So the most effective method we hold as individuals, is our individual and ultimately combined effort to bestow Love and Compassion as a form of necessities with and within everything we are concerned with. Massive Christmas Dinner and Celebration - The Sanctuary Organization, Inc.
My observation is simple enough to see for anyone. Many of the men and women who come to the Plaza de la Constitution are people who come to receive food, clothing, simple medical needs and hygiene products. However, time and time again I find that the main reason many of these individuals come to Sanctuary's Wednesday and Saturday 'feedings' is to talk to many of the servers. The real core essence of what makes Sanctuary different from many (if not all) other groups feeding in the Plaza, is the concept that "Sharing a loving moment, talking, joking, laughing or hugging is truly Feeding the spirits of those considered impoverished." Spending five minutes with anyone down at the 'feedings' is truly a lifetime experience and has the capability of changing both our personal interpretation of life and the focus of how we all choose to live our lives. Yet it is not the gift of food and products that are part of the true 'feedings' at the Plaza. It is our ability to treat everyone there as 'Family' that becomes the real food that all men and women are starved of. Eva Peron, the first lady of Argentina once said, "Almsgiving tends to only perpetuate poverty; aid does away with it once and for all." The subtle truth behind her quote is true in our modern society. We are faced with an amazing choice: Should we give alms and charity or should we realistically give hope and opportunity? Our ability as individuals to really distinguish between what really is aid and what is just 'bandaging' the problem is given light through our general understanding of what matters to us as individuals. We should question our intentions to find a better sense of integrity and morality behind them. We should do for anyone and everyone simply because they need it and deserve it as people. We should not do for others because Religious scripture tells us that we need to become holy or 'saved'. We should not do for others because it gives us better publicity or face value in the publics eye. We should not do for others to prove the oppressors wrong. We should not do for others because we pity others. And we should not do for others because it makes us feel good about ourselves. WE SHOULD DO FOR OTHERS BECAUSE "HUMAN" IS REALLY A PLURAL TERM. 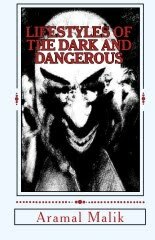 Lifestyles of the Dark and Dangerous, is a philosophical exploration into the darkest side of spiritualism: Demonology. Included is a breakdown of the history of demonology, demonic hierarchies, symbolic metaphors, rituals for exorcisms, and first hand personal accounts from people who have battled against malicious spirits. I know you have all seen the Guy on the Corner holding a sign, or just asking for change. Well this weekend I was the Guy on the Corner. As car after car passed by very few even acknowledged my existence. Most of you who did could of cared less about "the Guy on the Corner." Instead of thinking of helping or look of compassion most just gave judgmental looks, shakes of the head in disgust, some even pointed, and laughed. Talking about hurt, the lack of compassion in my fellow men and women actually brought me to tears. We are so quick to send food, help, money, clothes, and other things thousands of miles away yet we do nothing in our own country. Many of you see us everyday walking around, nothing to do, nowhere to go, but instead of helping - you just turn your heads and walk away. "Why? ", I ask myself, have we become blinded by self righteousness to see that we exist as human beings. Our society has gotten to the point that who you are doesn't matter, but what you drive, wear, eat, and how much you make, is what defines you as a human being. If you don't have a car, or lots of money your life doesn't matter. At least not as much as the guy with the Benz and a wallet full of plastic. It said that, "all men are created equal" and that "no man shall judge another lest he be judged." So, if we believe or trust in God like we say we do then why is there so many just like me hurt and with the feelings of inferiority. Our own government says "One nation under God," but is that believed or practiced? I say not! No it is not, because we sit and lie to ourselves daily by ignoring the problem in front of us. We cover it up by sending stuff to Haiti, Iraq, Kuwait, and anywhere else. Not that theses people don't deserve our help (and I'm glad to be able to help them). But eventually, at some point if we don't fix the walls of our own home our own house will fall. So many are in our very own streets holdings signs, begging, starving, and homeless. Yes, some may have done this to themselves but that is for God to judge, not anyone else. In this time, with the economy the way it is, anyone could be the next "Guy on the Corner". Seeing all the hurting and grieving people makes my heart bleed. Especially when I hear that billions of dollars have been set aside to put a nuclear sub at Mayport, Jacksonville. Can you imagine it was either billions or trillions of dollars that they have ready to spend on this project. Wow! I mean obviously this nuke sub has a place already. Then why waste money that could potentially save lots of lives? Instead we will spend money to make Mayport a high priority place to attack during a time of war. I wonder how many people you could get off the streets with just a billion dollars? The really sad thought is that we all pride ourselves on being a nation that stands on the fact that we trust in God. That to me is a joke! If it where true and so many supposed 'Christians', or just believers of any religion, stood for their supposed beliefs I wouldn't have walked away with tears in my eyes. With the feeling like I was judged to be beneath those I was asking for help. It says in the Bible, "..the least you do to my children, you also do to me." So in writing this, I ask you the next time you see the "Guy on the Corner", look deep inside yourself and ask yourself, "Am I any different? Am I anymore of a human being in life because of my material status?" I promise you this much, that no matter what your answer is or your status, one day we will all stand in the same line. An introductory educational guide book for learning some of the more complex concepts in occultism and hermeticism. 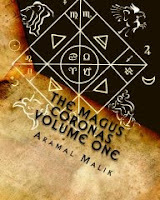 Comes complete with diagrams and charts for many topics such as the Music of the Spheres and color magic. This site is one of many, established for the intended purpose of being an opposition to a criminal one world order. It is also a forum for local members to assess information and to communicate together, in order to formulate better forms of opposition against immoral and unjust practices. Inversehalo, is always looking for people who are ready to help others. The whole point of our mission, is to support the people who need a backbone, to be the voice for those who need to be heard, and to be the hand of positive change. or ANYTHING THAT MOVES YOU! Send us an e-mail by clicking inverse-mail or apply in our forum box below,and help us fight the fight to save us all.